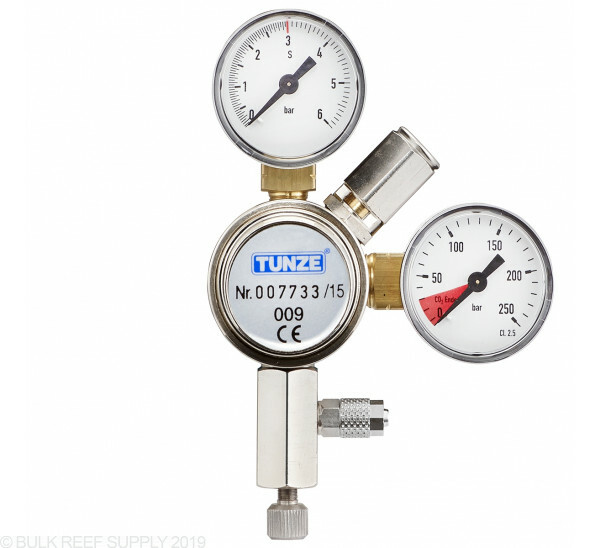 Tunze CO2 Regulators Cylinders thread into standard CGA 320 threads without the use of any tools. Two gauges on the regulator show the tank pressure, and also the working pressure. 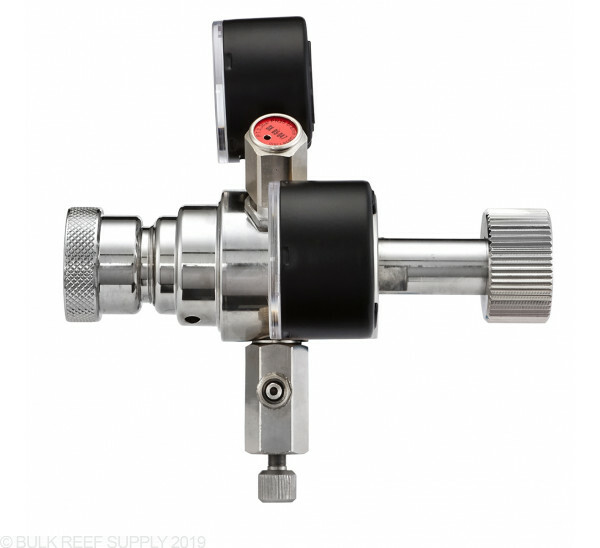 Each regulator also includes a safety pressure-relief valve. 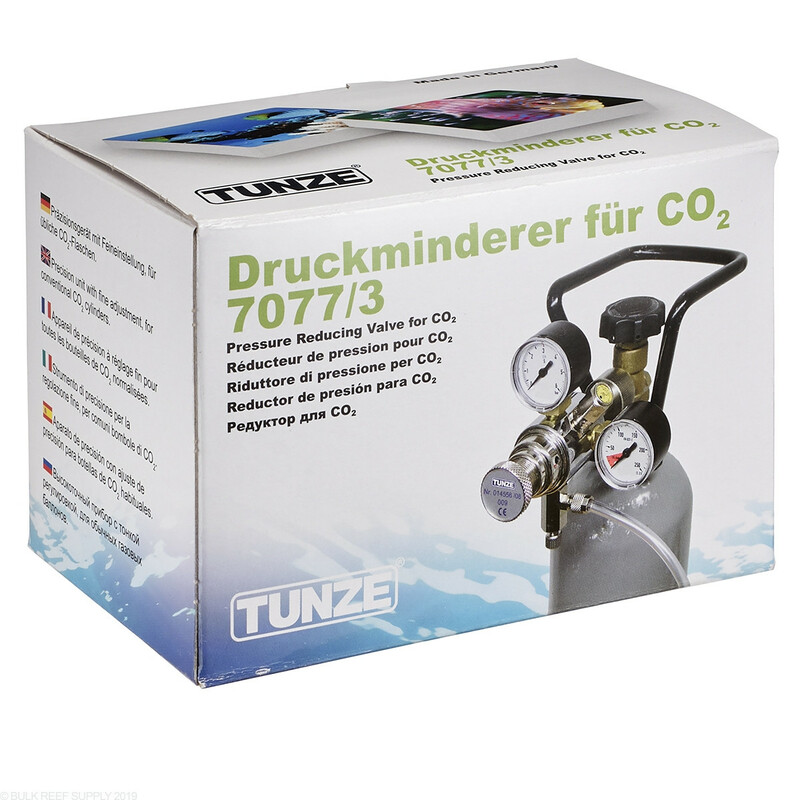 Connecting the Tunze CO2 Regulator to your bottle only takes a few seconds. 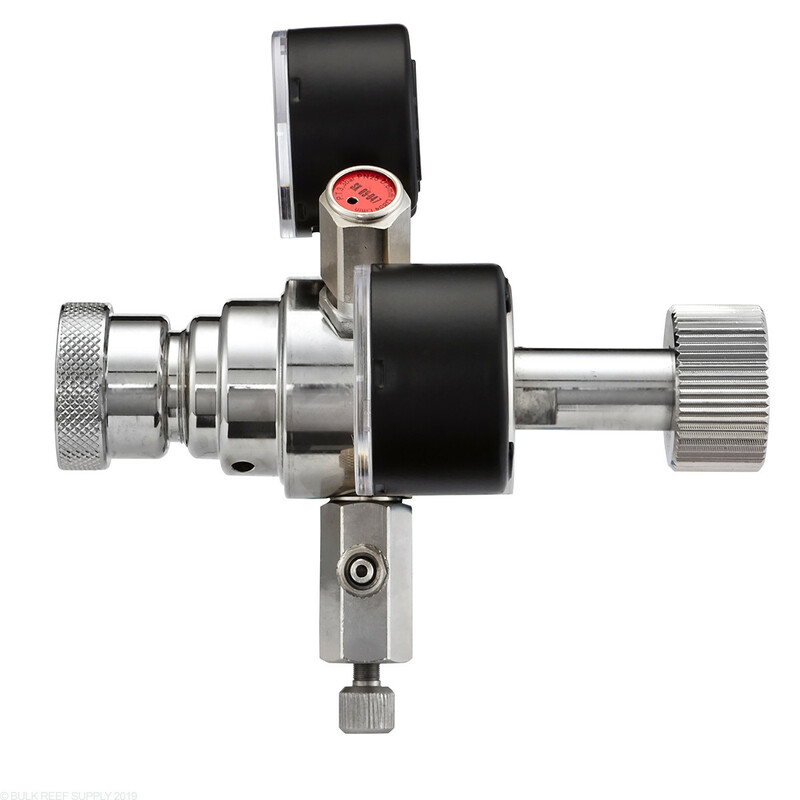 Just close the pressure adjustment valve all the way, screw the union nut onto the cylinder, connect your favorite solenoid, and then set your working pressure with the pressure adjustment knob. 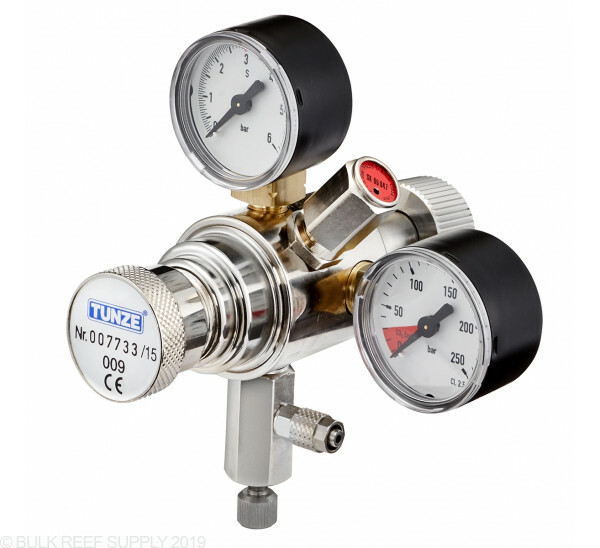 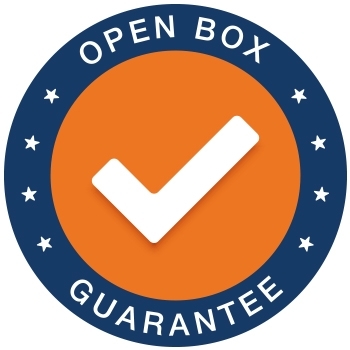 It is recommended to start at a pressure of 7.25 PSI (0.5 bar) for the best results.